Reaching the end of the two-day marathon stage in Tupiza, Yamalube Yamaha Official Rally Team’s Adrien Van Beveren has managed to retain his lead in the rally’s provisional overall standings. With tomorrow’s special stage cancelled due to bad weather, the WR450F Rally powered rider now has five more stages to complete before the end of the 2018 Dakar Rally. Sticking to his well-calculated plan of attack, Van Beveren rode a smart stage eight of the rally. Assigned with the demanding task of opening the tracks on several occasions during the timed special, the Frenchman brought his Yamaha home in seventh position on Sunday. Meeting his team in Tupiza for the first time after two days, Adrien will now have the chance to regroup and get ready for the remainder of the rally. A strong asset for the Yamalube Yamaha Official Rally Team, Rodney Faggotter remains well in contention for the top 20 in the provisional overall. 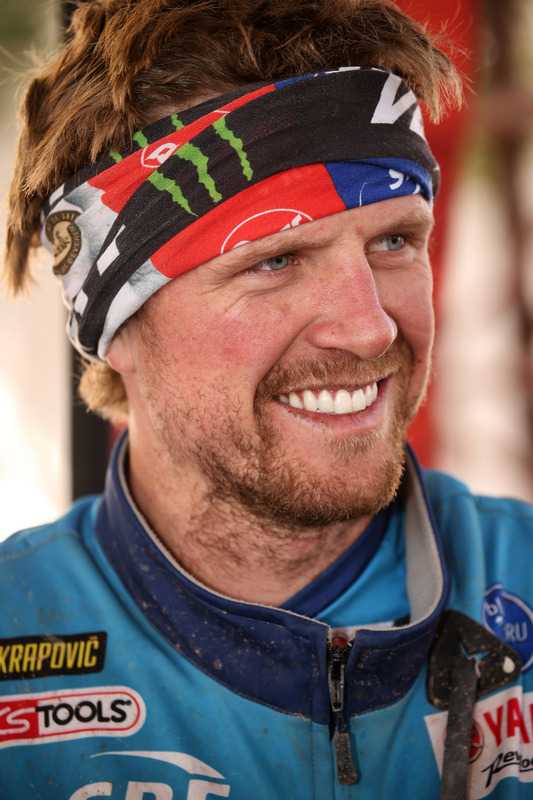 Making use of his mechanical skills to assist his teammates in the marathon bivouac in Uyuni, the Aussie was back on his WR450F Rally machine on Sunday enjoying another steady stage performance. Finishing 26th on stage eight, Rod is currently 22nd in the provisional overall. Stage eight brought some mixed fortunes for the Yamalube Yamaha Official Rally Team. With Van Beveren retaining the lead in the provisional overall, the team also disappointingly saw Xavier de Soultrait suffer a crash that forced him out of the South American event. Yamaha continue to dominate the Quad class of the 2018 Dakar Rally. With Ignacio Casale now enjoying a whooping one-hour 45 minutes lead in the provisional overall, there are eight Yamaha riders inside the top 10. Dakar Rally organisers have taken the decision to cancel Monday’s timed special for fear of thunderstorms and flooding. Instead competitors will ride in groups all the way to the Salta bivouac, with the race resuming again on Tuesday morning. Rest Day | Jan 12https://cdn.yamaha-motor.eu/racing/high/UGW2GIW83I6SRUPVA3Q9.